Jim Eaton in the Fort Orange Brewing space. He's part of the team that includes Craig Johnson and John Westcott. 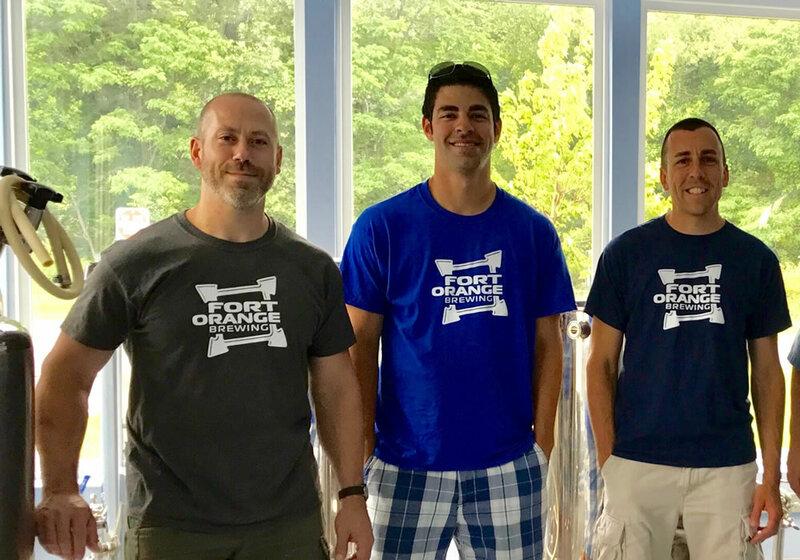 Albany's Warehouse District is in line to add another craft beverage producer this fall with the planned opening of Fort Orange Brewing. The team behind Fort Orange Brewing is three people: Craig Johnson, John Westcott, and Jim Eaton. They're all from Castleton and, as Eaton explained, met through their wives. They got talking about beer, started hanging out together and brewing together. It was at a taste test of three IPAs they had brewed that the idea for Fort Orange emerged. As Eaton said, the first two IPA were good -- but the third was a "homerun." "And all of sudden, you know what, this is good enough that we think the Albany market would be interested in it." And they still have their day jobs. Eaton works in admissions at Siena College, Westcott at a bank, and Johnson for an architectural firm. 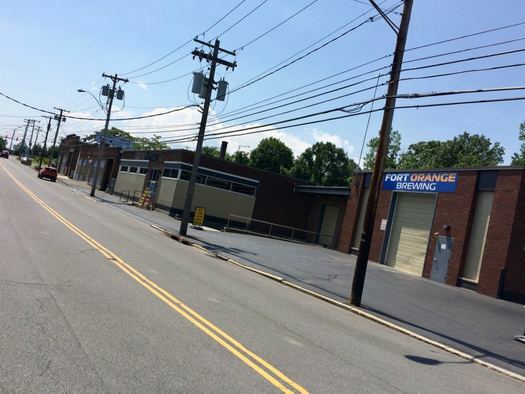 Fort Orange is building out the brewery in a light industrial space at 450 North Pearl Street. As is typical of the Warehouse District neighborhood, it's between a tile store and an industrial tool supply. 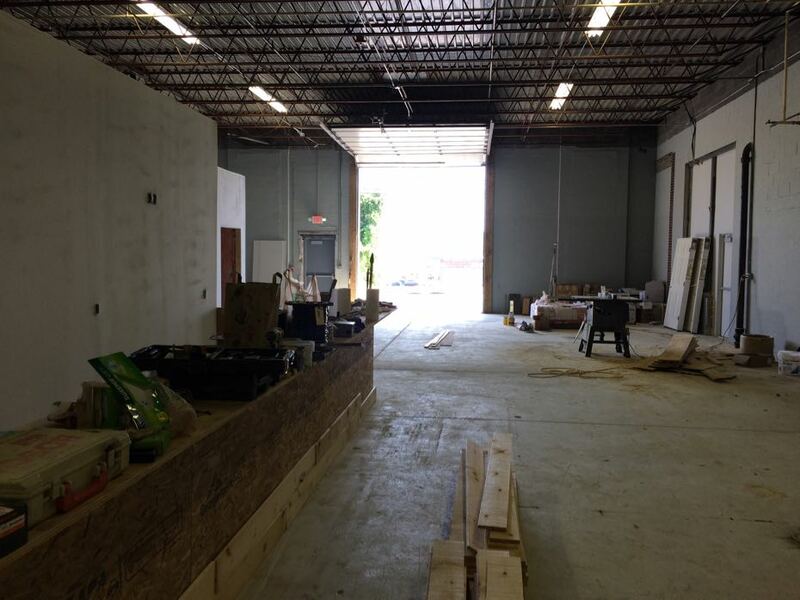 The space has a big garage door that opens up out onto Pearl. And looking through the bay, you can see the top of the Ferris wheel over at Huck Finn's Playland to the east. 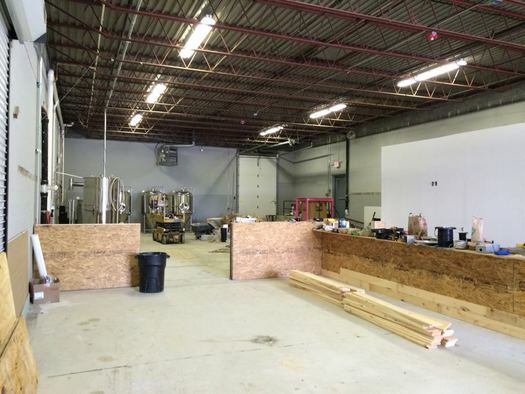 The brewery equipment is set up in the back of the space, there will be a bar area in the mid section, and then seating and room for games or other activities in front. "We're going to be primarily a tap room," Eaton said. "And a little bit different from what Albany has right now because the Pump Station and Druthers are both restaurants. And we're going to be more a traditional brewery." 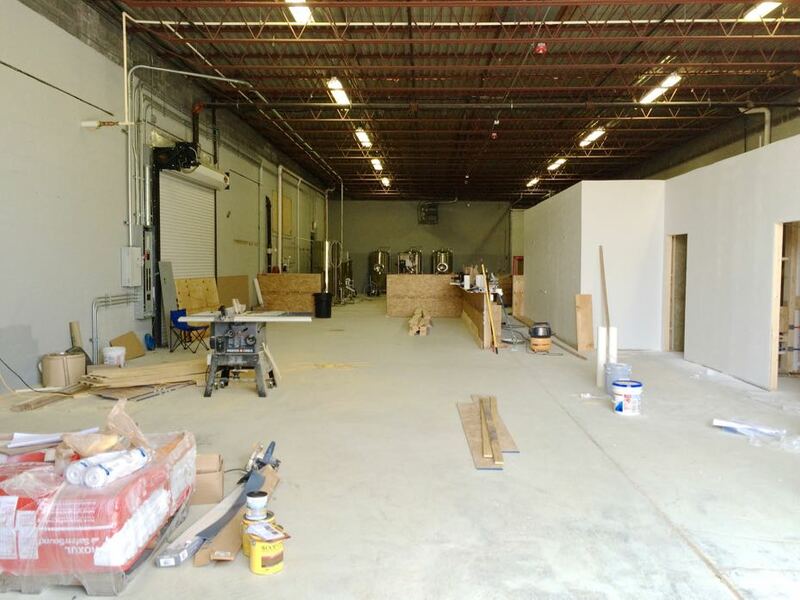 There are pics of the brewery space -- still under construction -- at the top in large format. Click or scroll all the way up. 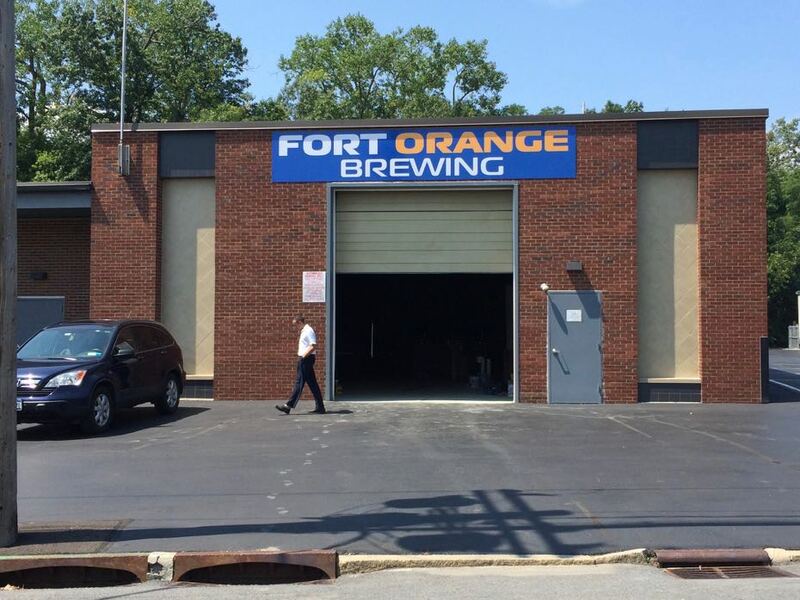 Fort Orange's initial beer focus will be on ales -- specifically IPAs -- according to Eaton. "We feel like we have some good ones we're excited to get out to the Albany market," he said. "But we'll do everything from a stout to a pilsner. I'm sure we'll have some seasonal offerings as well." Is there room for another brewery? There's been a huge upswing in the craft beer industry over the last decade. And locally it seems like there's a new brewery announced every other month. So we were curious if Eaton was concerned about the field getting crowded. "We feel like there's definitely room for growth in the Albany area," he said. "If you look at some other cities the size of us, like a Portland, Maine, they've got way more craft breweries than we do here in Albany. So we're excited to join the Druthers and the Pump Stations in adding to that." 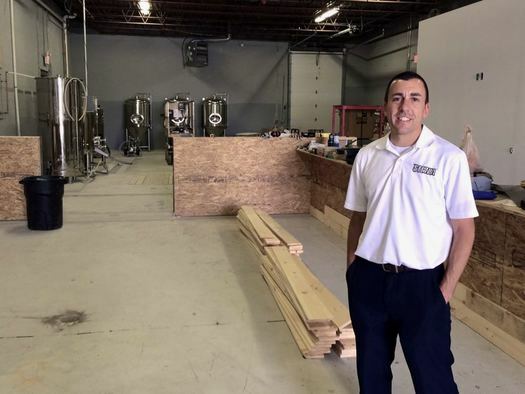 He also pointed to trends in people's preferences toward eating and drinking locally-produce products as another sign there's enough space to make a brewery work. Fort Orange Brewing will be the fifth craft beverage producer to set up in the section of Albany just north of downtown, joining the Albany Pump Station, Albany Distilling Co., Nine Pin Cider, and Druthers Brewing. Eaton said that scene -- along with other development in the neighborhood such as nearby residential conversions -- drew them to the neighborhood. "It's exciting to be down here," he said. 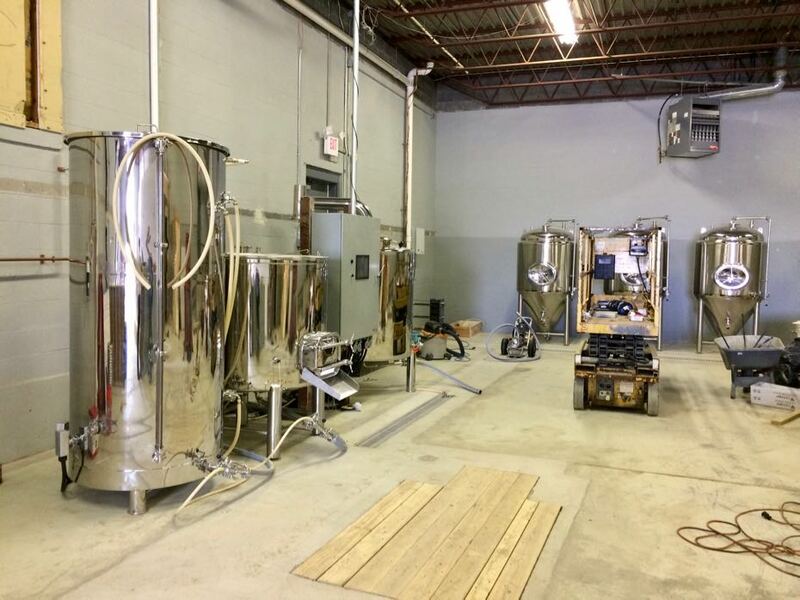 Fort Orange's brewing equipment arrived a few weeks back and is set up. There's still work to be done in building out the bar area and cold storage area. Eaton said they're on track for a mid-October opening. "This is probably the first time I'll say this, I'm excited for summer to end and fall to begin." Doesn't sound like there will be any food available there? @Dave: Eaton said they'll have snacks, and they're looking into the possibility of having food trucks from time to time. This looks fantastic! I can't wait for the Grand Opening! Sounds great! I'm optimistic that since they want it to be kid friendly, they'll have changing tables, something lacking at other breweries. "We have too many good craft brews" said no one ever. Changing stations will be available in our restrooms and we will have food trucks frequently. We also welcome outside food (take out). Just bring us some too. Haha! Cheers!